Get a head start evaluating Windows Server 2012 R2—with technical insights from a Microsoft MVP and members of the Windows Server product team. Based on final Windows Server 2012 R2 release-to-manufacturing (RTM) software, this guide introduces new features and capabilities, with scenario-based advice on how the platform can meet the needs of your business. Get the high-level overview you need to begin preparing your deployment now. Get a high-level overview of Windows Azure—and get a running start with this flexible cloud platform. Designed for IT professionals, this guide introduces core features and functionality, with technical insights and advice from a Microsoft MVP and members of the Windows Azure team. 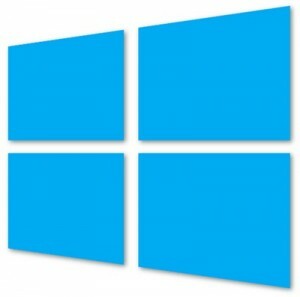 Topics include Windows Azure solutions, Compute services, Network services, Data services, and App services. Discover how a hybrid cloud model—combining cloud storage services with traditional on-premise storage—can solve multiple storage challenges cost-effectively, all under a single data management system. Focusing on the Microsoft hybrid cloud storage solution, this book offers concise insights on technical, strategic, and practical considerations—so you can begin evaluating potential benefits to your organization. Get a head start evaluating Windows 8.1—with early technical insights from award-winning journalist and Windows expert Ed Bott. This guide introduces new features and capabilities, providing a practical, high-level overview for IT professionals ready to begin deployment planning now. We’ll be publishing the final ebook (with 20 chapters and 4 appendices) in March/April in PDF, EPUB, and Mobi for Kindle formats. In the meantime, enjoy this preview! This guide will help you select the right Microsoft development technologies and approaches for your custom .NET application development, depending on the priorities you have for your application and business domain. It is targeted to decision makers, software architects, development leads, and developers who are involved in selecting which technologies to use for their applications and projects, and specifically covers custom enterprise application development, although independent software vendors (ISVs) might also find the information and recommendations useful. Part of a series of specialized guides on System Center—this book delivers a focused drilldown on designing Orchestrator runbooks for workflow management solutions. Written by experts on the System Center team and with Microsoft MVP Mitch Tulloch as series editor, these titles provide concise technical guidance as they step you through key design concepts, criteria, and tasks. Part of a series of specialized guides on System Center—this book delivers a focused drilldown on using Configuration Manager for queries and custom reporting, with scenario-based guidance for deployment success. Written by experts on the Microsoft System Center team and with Microsoft MVP Mitch Tulloch as series editor, this title provides concise, from-the-field guidance as you step through key concepts and tasks. Part of a series of specialized guides on System Center—this book focuses on core tasks for App Controller to implement and manage hybrid cloud solutions. Written by experts on the Microsoft System Center team and with Microsoft MVP Mitch Tulloch as series editor, this title delivers concise technical guidance as you step through key concepts, processes, and tasks. Part of a series of specialized guides on System Center—this book addresses the most common pain points for Configuration Manager administrators, providing insider and from-the-field insights to help you succeed. Written by experts on the Microsoft System Center team and with Microsoft MVP Mitch Tulloch as series editor, this title delivers concise technical guidance as you step through key concepts and tasks. Part of a series of specialized guides on System Center—this book provides a framework for planning and delivering a successful Service Manager project. Written by experts on the Microsoft System Center team and with Microsoft MVP Mitch Tulloch as series editor, this title delivers concise guidance, from-the-field insights, and best practices for optimizing and maintaining your Service Manager environment.